With the release of tvOS we were keen, like many of our peers, to have a look under the hood and play around with its SDK. 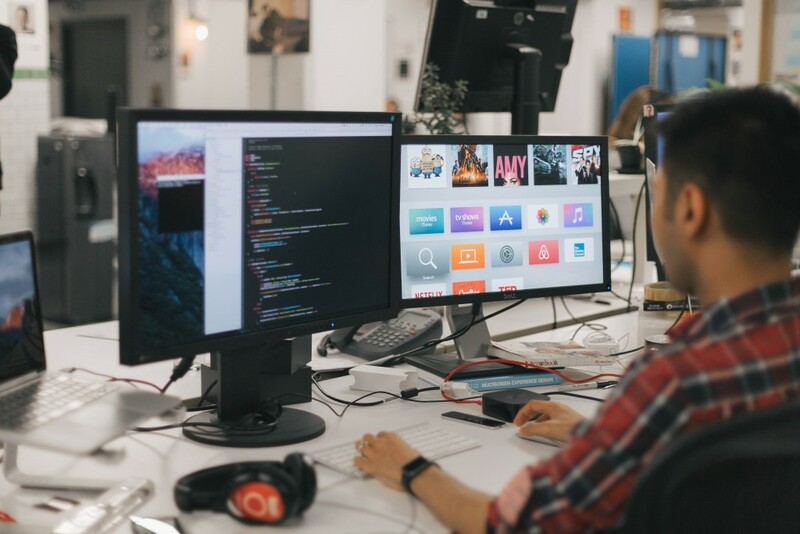 Positioning apps as the “future of television” is a bold statement indeed, and while that remains to be seen, we do believe there are some exciting opportunities for developers. Apple demonstrated retail and commerce-style applications in the keynote and, having played around with the SDK, we definitely see a big opportunity here. Text input will be a challenge though Siri dictation could be a future solution. The big advantage is that large collections of products can be easily navigated on what will undoubtedly be the biggest screen we own. As a more relaxed, ‘lean back’, experience this could help popularise online shopping within a social setting. This could be a variety of purchases that we currently tend to do solo – perhaps we will see people doing the grocery shop with a partner, or shopping for clothes with friends. Apple changed the mobile gaming landscape when they launched the iPhone, by opening up a mobile platform that anyone could develop for. We saw how games designed for the smartphone helped create a new breed of casual gamer. tvOS has huge potential to disrupt the market again – perhaps, it will even rival dedicated games consoles. The shared family of tvOS and iOS also provides a great opportunity for dual screen gaming experiences. This definitely feels like an exciting new development for games makers everywhere. Side-by-side split views of multiple applications could find their way onto tvOS in future in a similar way to the iPad. 49% and 66% of smartphone and tablet users respectively will surf the internet whilst watching television in the US. Users are currently expected to jump in and out of their open tvOS applications but, in the near future, watching a sports game while ordering food (and being notified of its delivery status) or looking up actors or plots related to what is being watched seem like realistic user cases. Home automation is emerging rapidly, and with increasing adoption of Apple’s HomeKit, you could choose to allow the Apple TV to be used in conjunction with mobile apps or on its own to control elements of your home. The TV has commonly been a central feature for many homes, and it seems a logical focal point for dealing with an automated home. This, of course, will depend on whether HomeKit will be supported by a future tvOS update, and its success will be dependent on how well-adopted HomeKit appliances are. Health management is already a massively popular area of interest for people on mobile but privacy is a legal and social concern for many (as well as a logistical challenge, especially in terms of standards). If at some point these barriers were overcome, the TV could build on what console fitness games have begun, by tapping into additional health data from user’s mobile devices to encourage healthier habits. Siri could become more prominent and companion-like through Apple TV. With the added help of personal information from other devices it might, for example, give timely reminders or become a place to get a debrief on your day’s activity. Your physical data, or the locations you visited could lead to suggested content or events of interest. Talking to Siri from one’s sofa might be a vision of the future come true for some – although there’s no universal in-app search for Siri at present, we can absolutely expect it to be on Apple’s roadmap. 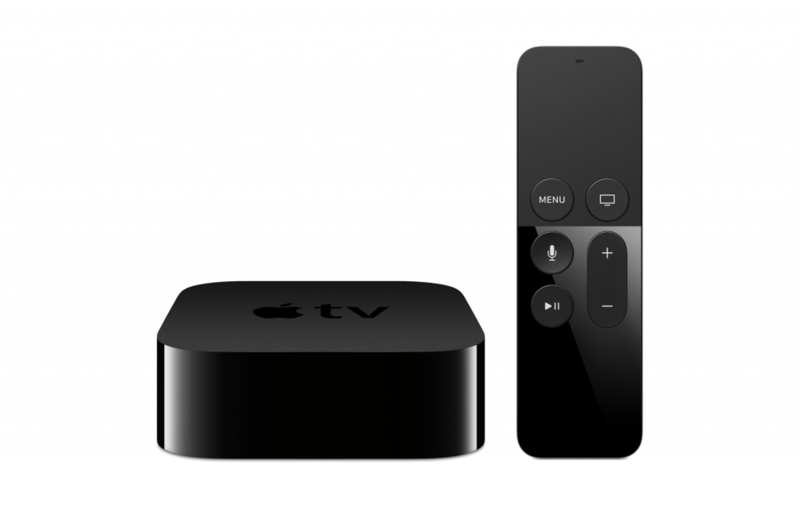 We're excited about the potential and direction of the new Apple TV. The interface is easy to use and familiar, and the hardware is powerful and affordable for most (especially when compared with a games console). Naturally, there are limitations in the SDK, but anything that is inherently a group activity (family-based or with friends or colleagues) where you deal with lots of immersive data could work well as a tvOS experience. As a new platform, there will be a chance for everyone to see what works best here. But do users want more complex types of software from their TV? It’s still completely doable to dispense with your TV, and yet still enjoy a rich volume of content through a laptop, phone or tablet. We expect the attractive price, and trust people have in Apple already, will make the platform popular – but is that enough to move it out of its niche? What’s exciting is that it is a reimagining of a familiar concept, rather than a brand new technology seeking adoption. What was once the domain of a big technology or entertainment company has now been opened up for people to develop their own new experiences. We’re looking forward to exploring its creative potential.